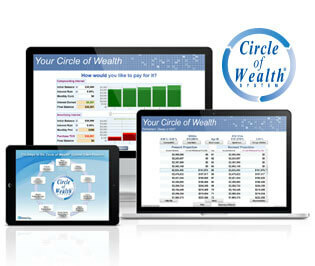 The Circle of Wealth System, founded in 1994 by Don Blanton, president and founder of MoneyTrax, improves the level and quality of communication between financial services professionals and their clients. 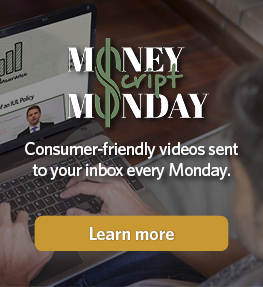 The system is built around a simple, 10-step planning process, which is combined with a software component that excels as a "Visual Storyboard" to help the advisor clearly communicate how money and wealth accumulation works. The system takes the client through a range of discussions that include—but are not limited—to taxes, qualified and non-qualified plans, mortgages, the accumulation and distribution of assets, and the overall wealth-building process. It explores the effects of transferred money and the opportunity costs associated with those lost dollars. This is a very unique and powerful system designed to help you communicate with your clients on a much higher level than you have ever been able to in the past. Each of us communicate in different ways and prefer that those who are sharing information with us do so in a way in which we can best understand. You'll be able to answer the four most important questions anyone serious about their finances should know such as: What rate of return do you have to earn on your savings and investment dollars to be able to retire at your current standard of living and have your money last through your life expectancy? 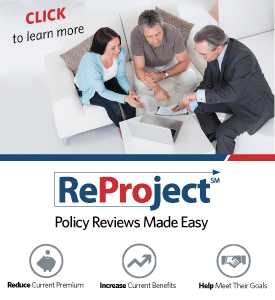 MoneyTrax has helped over 5,000 advisors better serve their clients and help them become more efficient financially using the philosophies of the Circle of Wealth® system. The best way to connect with close to 1,000 of our members is to attend our Annual Advisor Conference (COW College). The Circle of Wealth marketing program is for the independent financial professional who is seeking a system to improve the level and quality of communication with the client. The system is quite extensive and requires the advisor to devote the necessary time to learn, practice and comfortably present the complete system. Most advisors who participate in this marketing program adopt the Circle of Wealth approach as to how they conduct their entire business. The system is a proven combination of a 10-step client consultation process and an extensive suite of supporting software applications. There are different levels of ownership of the software and the training that goes along with it. Click the button below to watch the "Perfect Your Elevator Speech" video!